Conceive. Test. Launch! Embracing the theme for the 2017 American Society of Association Executives (ASAE) Technology Conference & Expo, ORI will be exhibiting once again at this annual gathering of association community professionals. In an increasingly technology-driven community, the event attracts association CIOs, CEOs, technology professionals, and others with roles or interest in digital and mobile solutions. When it comes to strengthening member experience, how well is your association doing? Visit ORI at Booth #338 to rate your organization and to see how your fellow attendees rank. Our knowledgeable team will be on hand to discuss how to harness the right data to fuel decisions and accelerate growth. 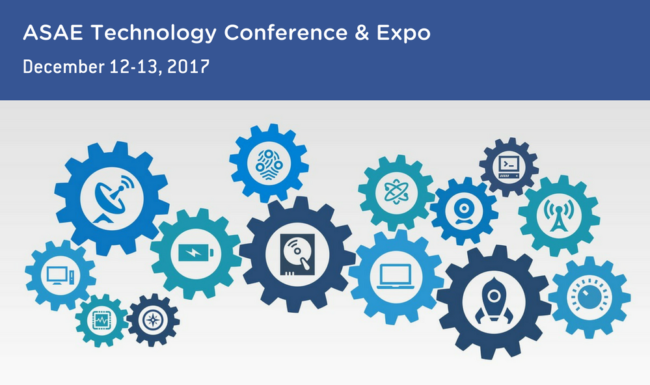 The ASAE Tech Conference is being held December 12-13 at the Gaylord National® Resort & Convention Center in National Harbor, Maryland.